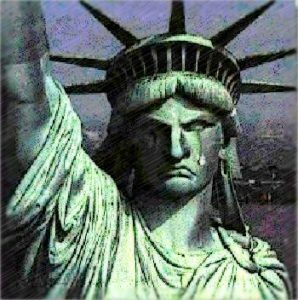 The American Resistance –We are standing up for the real America against the nightmare of Donald Trump and his Republican Party. Everywhere. From coast to coast, sea to shining sea. BSW 15 Benton Sherburne Wright – BSW 15 is the local MN DFL local party organizing unit for Benton, Sherburne, and Wright Counties in Senate District 15. Can’t Stop the Signal — It is time to stand in opposition to Donald Trump’s agenda. We are an Indivisible group, with members from all across the Twin Cities metro area. Our goals are go keep each other informed, and support each other in taking meaningful action (such as attending rallies and town hall meetings, calling our reps, etc.). Central MN Action – Discussion and strategy group to implement change in public policy and political systems to the betterment and inclusion of all citizens. Hellz No Action Team — This is a neighborhood watch group. Indivisible MN CD-6 —This group is for organizing constituents of MN-CD6 around the goals of the Indivisble Guide, a guide created by former congressional staffers to teach people how to make their members of congress listen, and to help resist Donald Trump’s discriminatory and unethical agenda. Indivisible D4: Maplewood, North Saint Paul, Oakdale — “Donald Trump’s agenda will take America backwards and must be stopped. In order to work together to achieve this goal, we must model the values of inclusion, respect, and fairness. Indivisible Duluth – Indivisible Duluth — local organizers and activists who champion progressive causes and resist Trump’s repressive ideology. Indivisible of Minnesota – Resist Trump’s agenda. We believe Trump’s agenda is racist, authoritarian, and corrupt, and it must be stopped. Indivisible – Minnesota DFL Senate District – This is a closed group for Minnesota DFL Senate District 56 folks making positive and impactful connections using Indivisible Guide. Indivisible Nordeast — Indivisible Nordeast was launched as a follow up to a Women’s March on Washington huddle. There are many opportunities for action now. Indivisible Nordeast is a northeast Minneapolis-based effort to bring together individuals who are interested in resisting the Trump agenda. Merriam Park RESIST — This group will bring our friends and neighbors in Merriam Park together against the Trump Agenda. As a group we can come together to simply chat about our hopes and fears, or to organize as community activists. Minnesota Senate District 39 DFL —The Minnesota Senate District 39 DFL is the party unit for an area in Washington County representing Stillwater, Forest Lake, Lake Elmo, Bayport, Scandia, Marine on St. Croix and other nearby communities. Roseville MN Area Indivisible Connections — A place for neighbors in the Roseville MN area to share information about local issues and opportunities for action. Solidarity Sundays | Twin Cities — Solidarity Sundays is a nationwide network of activist groups focused on taking action to engage with elected officials, amplify the action items of existing progressive organizations and build communities of empowered, educated, active feminists who will work for peace, justice and equity. St. Croix Valley Women’s Alliance — OUR MISSION STATEMENT : Saint Croix Valley Women’s Alliance protects and champions the human rights and well-being of our diverse society. Take Action Minnesota — TakeAction Minnesota is a statewide network of people – people just like you — working to realize racial and economic equity across Minnesota. We do this by connecting people and organizations to each other, turning someone’s individual desire for change – to pass a more progressive policy or law, to improve an institution, to change a harmful idea or perception – into the broad public action that makes change happen where it wasn’t possible going it alone. Tolerance Equality Action Movement (T.E.A.M.) — Following the advances made on equal rights for the queer community and after the momentous marriage decision, forces began to coalesce against these rights. Most disconcerting was the conservative Christians’ understanding of the Bible to support their claims of inequity. Knowing that this was a minority, but very vocal position, Jim found the need to respond. Calling upon likeminded friends Marcus, Richard, Bob and Daniel a movement was created to educate those in doubt or those who need facts and differing perspectives presented to them so they can rebut their own understanding of the prejudice still around them. This grassroots action group has been meeting since November 2014, discussing and implementing social media platforms to engage the broader community. Now as we expand our T.E.A.M. base and become more diverse, the prospects for the movement begin to gain momentum.